Stemulation Rescue Repair Hand And Body Treatment – Brighten And Tone, Neck And Décolleté, Soften And Smooth Hands, Feet Elbows And Knees 50 mL /1.7 oz. Stemulation Luxury Skin Care is more than just a title; it’s the truth. Using donor-certified stem cells donated solely from non-embryonic bone marrow, we produce growth factors, which create the active ingredient used in all Stemulation products. This hand and body treatment is safe, ethical, and effective because its growth factor responds to your cells to help nurture and balance the health of each individual’s skin and tissue. We use modern science and technology to create the most naturally beneficial repair treatment for your skin. Our hydrating hand and body formula evens out discoloration, visibly reduces dryness and inflammation, and deeply hydrates troubled skin to ultimately produce tighter, smoother skin. 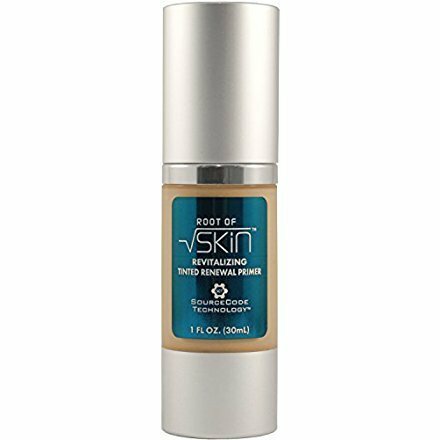 Our anti-aging antioxidant formula restores and renews areas of the hands, feet, knees, elbows, and décolletage troubled by age spots, extreme dryness, loose skin, and calluses. Thanks to antioxidants, peptides, and our unique Stemulation formula, this hand and body cream will tighten, hydrate, and revive your skin from head to toe. BEAUTY THROUGH SCIENCE – Stemulation uses modern science and technology to create the most naturally beneficial repair treatment for your skin. We put work into the science of rejuvenation so your skin can look like a work of art. Safe, ethical, and effective, our anti-aging formula does all the work of skin rejuvenation for you – all you have to do is put it on. RESCUE AND REPAIR – Our hydrating hand and body formula evens out discoloration, visibly reduces dryness and inflammation, and deeply hydrates troubled skin to ultimately produce tighter, smoother skin. Don’t be weighed down by troubled skin. Rescue and repair them with a twice-daily nourishing treatment from Stemulation. ANTIOXIDANT FORMULA – Along with natural ingredients and safe and ethical donor-certified non-embryonic stem cells, our hand and body treatment is full of antioxidants to further restore areas of the hands, feet, knees, elbows, and décolletage troubled by age spots, extreme dryness, loose skin, or calluses. Thanks to antioxidants and more, this highly effective body treatment will tighten, hydrate, and revive your skin from head to toe. LUXURY SKIN CARE – That’s more than just a title; it’s the truth. Using donor-certified stem cells donated solely from non-embryonic bone marrow, we produce growth factors, which create the active ingredient used in all Stemulation products. This hand and body treatment is safe, ethical, and effective because its growth factor responds to your cells to help nurture and balance the health of each individual’s skin and tissue. RELIEVE FATIGUED SKIN – Whatever your gender and whatever your age, our naturally hydrating hand and body formula is the perfect way to stop photo aging and relieve dry, troubled skin. Science and nature are at their best here as they work to ensure that even the most problematic of skin conditions will be alleviated.